What do your walls say about your business location? Wall wraps are a fun & creative way to spice up your space. 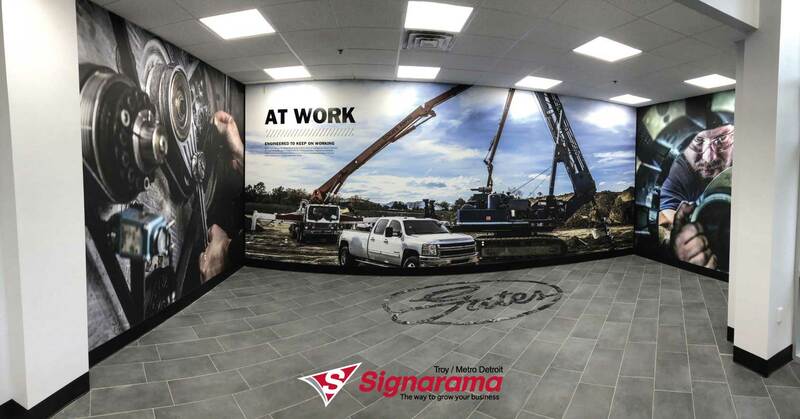 At Signarama Metro Detroit wall wraps are one of our favorite types of projects! It is such an exciting type of project, to change your interior space drastically. 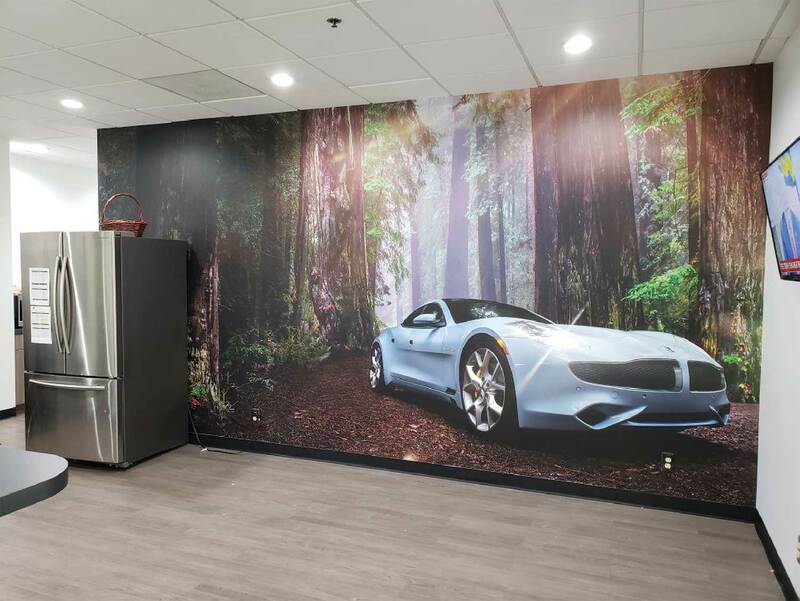 With our state-of-the-art wide format printers & our talented design team, we can take your custom artwork & transform it into beautiful wall murals & wall wraps! Whether you are a law firm or corporate office needing to update your space by simply enforcing your mission statement, or a salon looking for showcase the fun your company has on a day to day basis, wall wraps are a great way to create to spruce up your space! Our custom designed wall paper vinyl can be applied to any wall surface, even the ceiling! Our amazing printers allow us to print customized shapes & sizes. 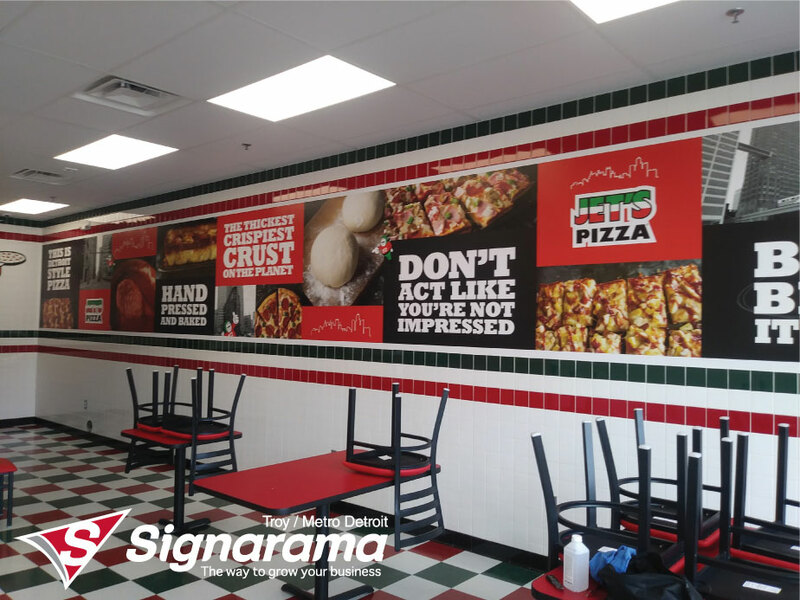 Wall wraps are original & the options for design are limitless! 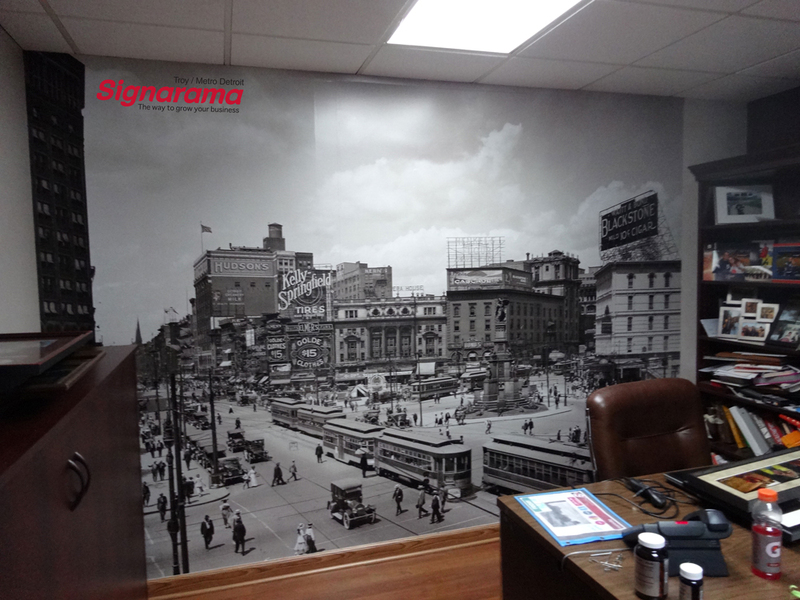 If you are thinking about re-doing a room in your office contact your sign experts at Signarama of Troy to discuss wall wrap solutions!